As autumn starts, we start looking for nice hoodie patterns for our children. They look lovely and keep kids warm during outdoor play. Here is another sweater pattern the Color Block Sweater. 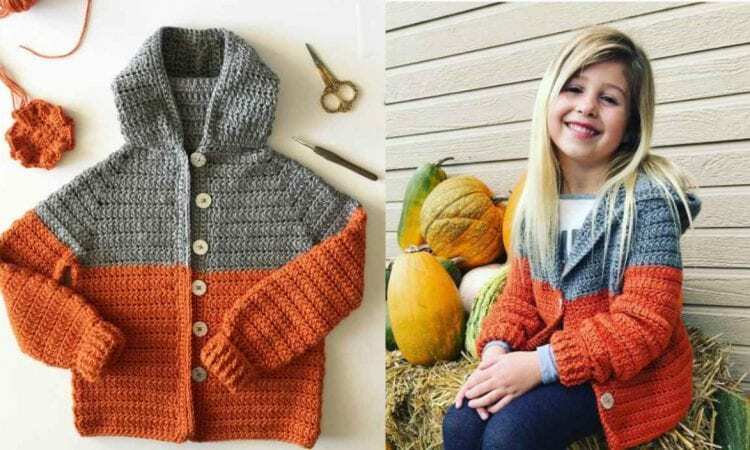 The pattern, designed by Daisy Farm Crafts, is foreseen for 4 -6 years old, but you can easily adjust it for a smaller or bigger size. As there is only 2 colors used, you can make it in any colors you want, both for boys and girls.